The Green Party today announces its largest ever slate of candidates for Parliament and six key themes for the 2015 General Election campaign. The Party, which committed to stand in “at least” 75% of seats at the 2014 Autumn Conference, is now already on track to stand in almost 90% of seats at the 2015 General Election (1). The percentage is set to continue climbing in coming weeks as more local parties select candidates ready to stand for the common good. The increased appetite for Green values and policies – as demonstrated by the Party’s best polling in a generation – will be met by increased opportunities to vote Green at the ballot box on May 7th 2015. Bennett, Lucas and Darren Hall, PPC for Bristol West, made speeches and took questions at the official campaign launch where a ‘Standing for the Common Good’ campaign poster was unveiled to the media. In her speech, Natalie Bennett, The Green Party Leader and PPC for Holborn and St Pancras, outlined the party’s six key electoral themes (2). “A good local MP insists on getting the answers that need to be had, asking the questions that must be asked on behalf of constituents. As a Green MP, I have no Party whip – and my voice has been much stronger for it. My position isn’t decided for me by a Party official – my constituents feed into every speech and every vote. “In fighting for the issues that matter most to Brighton residents – from a truly protected NHS, improved and public Railways, a fair and resilient local economy; in addressing the housing and cost of living crisis and standing up for local schools and individual constituents – I think I’ve been able to demonstrate how much one MP can do if they really want to. The Green Party, which has seen membership surge from 12,000 in 2010 to over 54,000 today, is targeting seats up and down the UK – from St Ives to Liverpool Riverside. 1 The Green Party has selected candidates in 390 constituencies across England and Wales with 119 in the pipeline. That means Greens will stand in at least 509 seats (or 88.83% of the total 573 seats). Greens will rebuild our economy so everyone gets a fair share. Greens will put the public at the heart of the NHS. Greens will ensure everyone has a secure, affordable place to live. Greens will take action on climate change to protect our planet. Greens will invest in and create a public transport system to be proud of. Greens will ensure every young person that wants to can access quality education. The Green Party hit a milestone on Sunday, after raising nearly £75,000 towards standing in as many seats as possible in England & Wales. The money was raised through the crowdfunding site Crowdfunder, with nearly 3,000 people pledging in just 16 days. After already having candidates in place in 75% of seats – more than the Lib Dems – the £75,000 will enable enable the national party to support local branches struggling to raise their deposit in the 25% of seats which do not yet have a Green Party candidate. At £500 per constituency, standing for parliament is an expensive affair. While it is not expected that there will be a completely full slate, the money will go a long way to making sure as many people as possible get a chance to vote Green in May. The money also frees up local parties to spend their own funds on campaigning for the candidates themselves. But it also builds on the £300,000 donated by Vivienne Westwood to the party’s General Election campaign. The party also announced a generous donor pledged £10,000 to add to the final tally. Every saved deposit out of the money handed down to local parties will go towards future election campaigns. One hundred Green Party candidates for the May General Election have given their clear support for the NHS Reinstatement Bill 2015  and there is no sign of that support slowing down. This impressive wave of support reflects the Party’s core commitment to public services which are not privatised, but are true to their founding principles and can safely continue to be publicly owned for the future. More candidates are adding their support all the time [you can see what the candidates in your area say here]. Everyone has the right to an affordable, secure home. If you’re aged 20 to 30-something, paying a large chunk of your salary on rent, and have little hope of raising a deposit to buy a home, then consider yourself part of ‘Generation Rent’. With 73% of private tenants aged under 45, and 78% of landlords aged over 45*, the imbalance between the generations is startling. ‘Rent Freedom Day’, an event organised by the campaign group Generation Rent, and taking place at Westminster on Wednesday 4 February, wants to see a fairer deal for renters, an improvement in the standard of rented housing, and a re-balancing of home ownership between young and old. Housing has become a case of the ‘haves’ and the ‘have-nots’. Whilst average pay for young people has fallen by 15% from 2008-2013, landlords have enjoyed an average of 16.3% profit every year since buy-to-let lending started in the 1990s. This has been buoyed by policies such as 10% tax breaks for ‘wear and tear allowance’ – the benefits of which do not appear to be trickling down to renters. 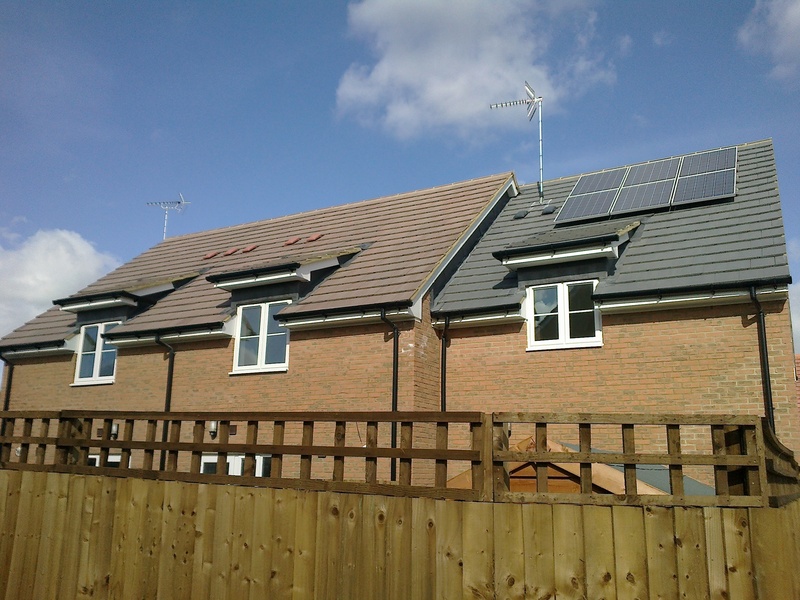 Whilst many landlords are responsive and attentive, some are neglectful and mercenary; over a third of dwellings in the private rented sector are classed as non-decent, and a quarter of tenants have requested repairs which are not carried out. Unfortunately there are few options available to tenants to force their landlords to improve, with existing safeguards (such as action from local council Health and Safety teams) only available in the most extreme examples. According to ComRes polling, 35% of the UK’s 10 million private renters are swing voters, and 86 parliamentary seats have enough private rental swing voters to overturn the incumbent MP’s majority. This means renters can have real influence in the upcoming election. Generation Rent policies such as a national register of landlords, an end to rip-off letting agents’ fees, the outlawing of revenge evictions, and the introduction of modern rent controls, will begin to re-address the balance in favour of renters. The Green Party is proud to support the Generation Rent campaign and ‘Rent Freedom Day’. 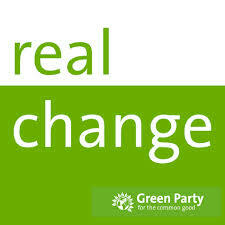 In addition, the Green Party’s broader economic policies such as a £10 minimum wage, higher rates of council tax for unoccupied properties and second homes, and a massive investment in building more affordable, efficient homes, will make sure that young people’s dreams of home-ownership can become a reality. On the 4th February campaigners and organisations including the Intergenerational Foundation and Generation Rent are lobbying Parliament and the main political parties, and holding a series of talks and workshops for private renters who are fed up and want to take action. Rent Freedom Day is free to attend, and is the last opportunity before the General Election to pressure politicians to fix the housing market. You are currently browsing the The Northants Green Party Blog blog archives for February, 2015.